The Magnificent Ms. Marvel #1 is out 3/13/2019. 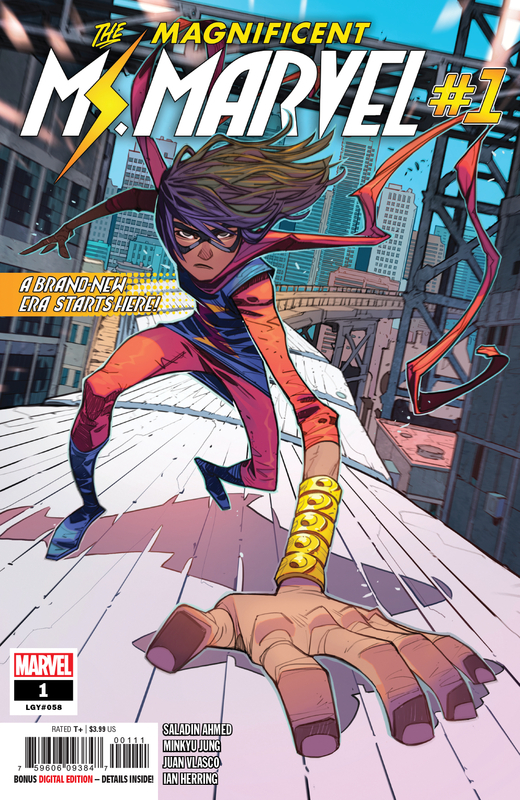 By Zack Quaintance — For the first time in the character’s young life, Kamala Khan’s Ms. Marvel has a new writer. Indeed, since the new Ms. Marvel’s solo series launched back in February 14, writer G. Willow Wilson has been a constant in her adventures. Under Wilson’s creative guidance, Ms. Marvel has run for nearly five years and many issues, earning critical acclaim and racking up tons of sales, especially in the bookstore and book fair market with young readers. I’ve been there all the way, because to my mind Kamala Khan is the purest update on the concept of the teen superhero first pioneered by Stan Lee and Steve Ditko in Amazing Fantasy #15 with the creation of Peter Parker, essentially the first kid superhero that wasn’t a sidekick, or at least the first that captivated fans and became successful (the Billy Batson Captain Marvel/Shazam! aside). Kamala Khan’s adventures as Ms. Marvel to me in the Wilson era always felt like the first millennial superhero, essentially written for us and by us with a nuanced understanding of the world we lived in and the challenges we faced. 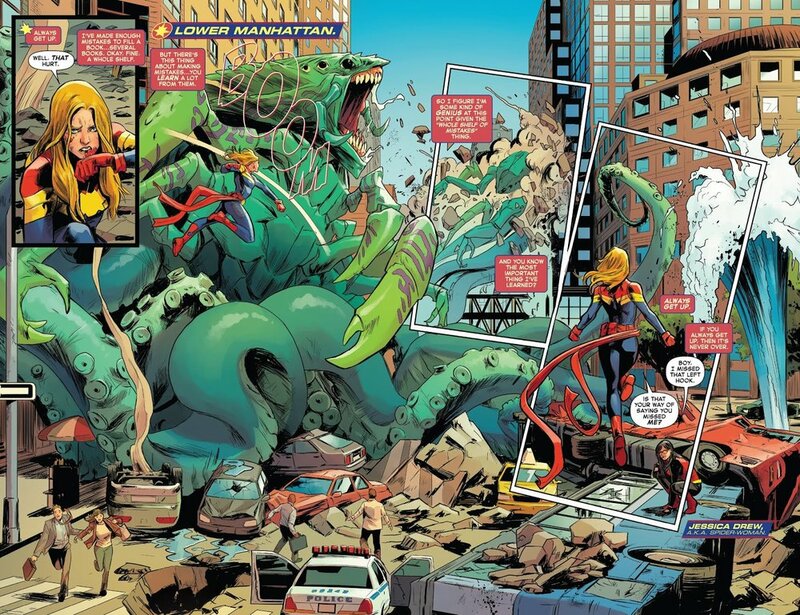 In his first issue as Ms. Marvel’s new writer, Saladin Ahmed essentially commits to maintaining that status for Kamala while at the same time building in an evolved sense of scale, mythos and grandiosity. This issue has an interesting framing structure, in which a pair of alien beings—identified only as being from another world somewhere in the far future—are discussing Kamala, with a little girl in bed listening as a father tells her stories of the Destined One. What Ahmed does right from the start of this new book—facilitated with detailed and vibrant artwork from the team of artist Minkyu Jung, inker Juan Vlasco, and colorist Ian Herring—is give Kamala and increased sense of relevance, not just to the folks near her in Jersey City but to the entire world, potentially even the entire galaxy. As millennials begin to inherit the world in the wake of mass baby boomer retirement, it’s a fitting development for this now five-year-old arc. Kamala will, of course, remain young in the comics (these heroes always should and do) even as her position within the broader zeitgeist ages, and Ahmed understands this as well. Even as she becomes the Destined One to some folks far away and well in the future, her exploits at home remain mostly driven by her interpersonal relationships with her parents and best friends. 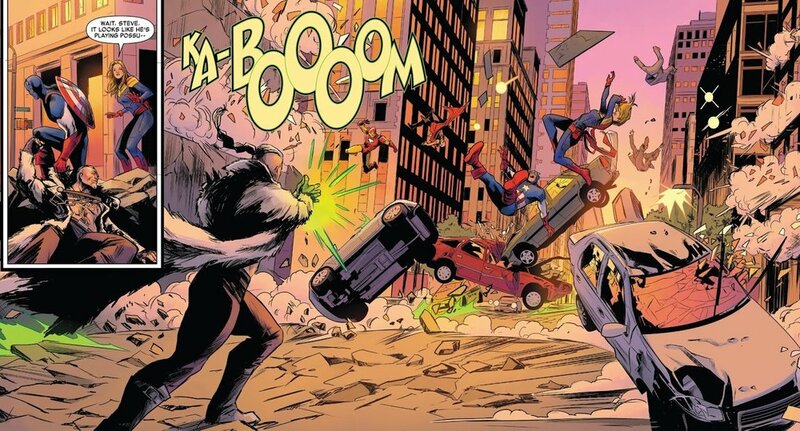 In the end, what we get from The Magnificent Ms. Marvel #1 is a new run that feels both familiar and novel. The interactions between Kamala and her parents feel as if they’ve been culled directly from Wilson’s now-ended run, while the framing device is Ahmed signaling an intent to also try something wholly new. It is, as far as I’m concerned, exactly what this character needed as she ages a little and presumably takes another step toward her inevitable destiny as a character in big budget Marvel Studios filmed. It’s no coincidence this book is coming out now, just days after Carol Danvers and Captain Marvel stormed the box office.